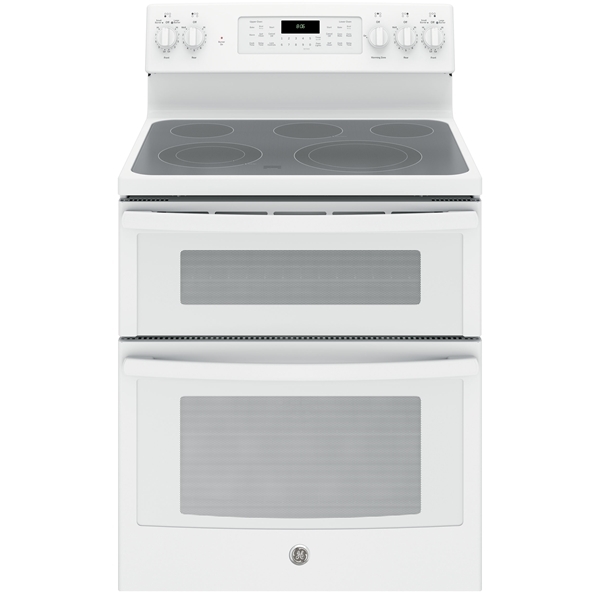 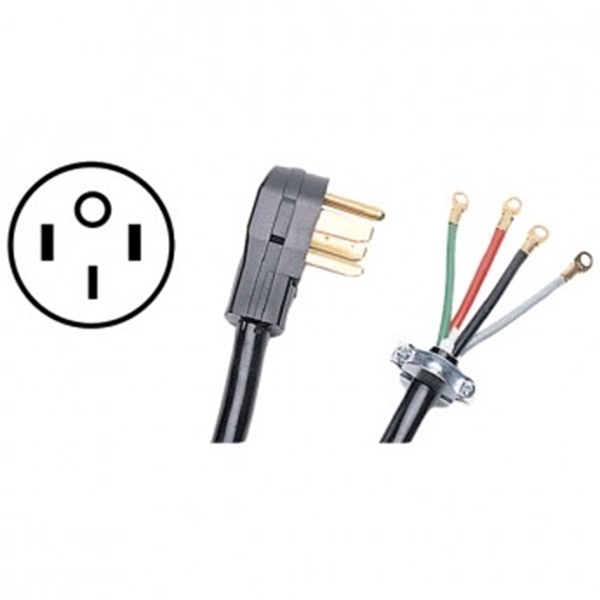 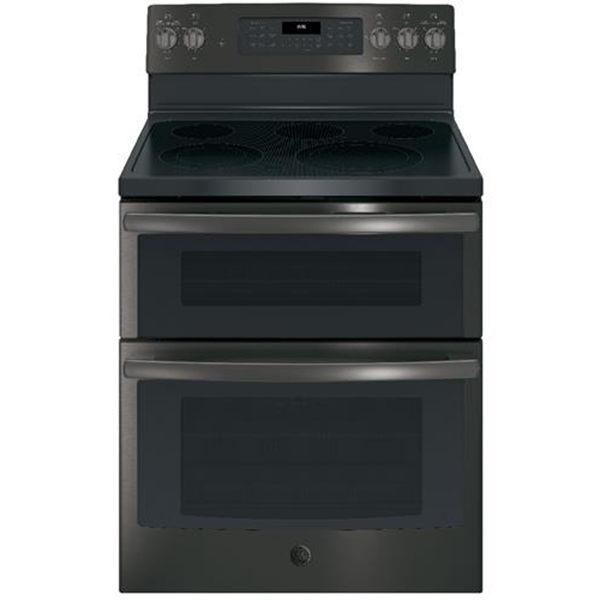 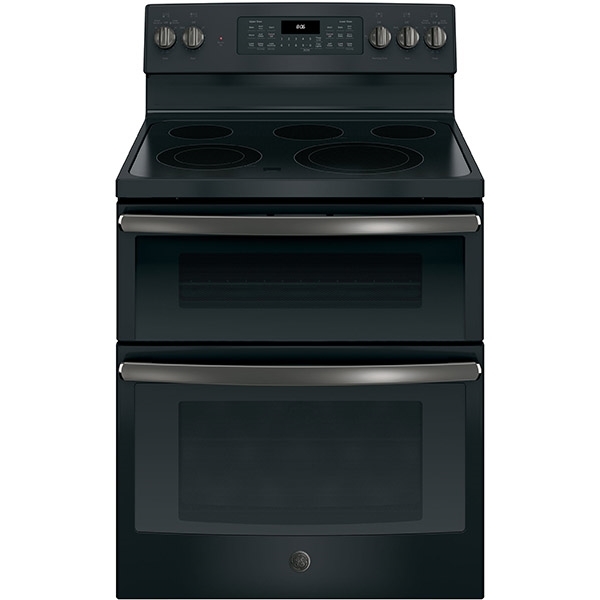 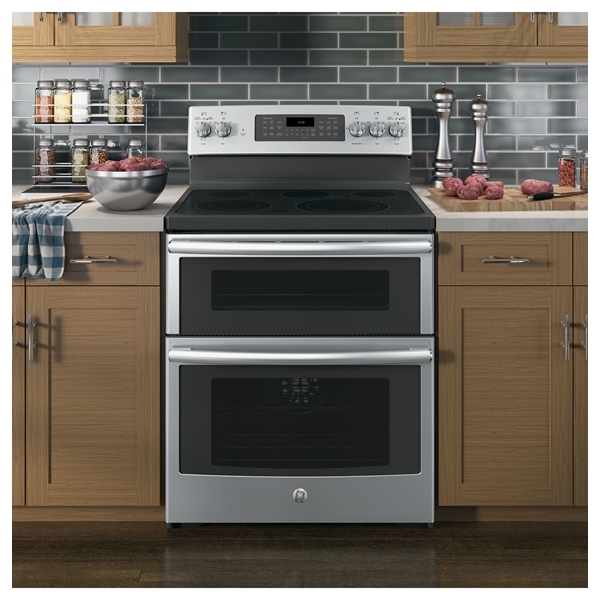 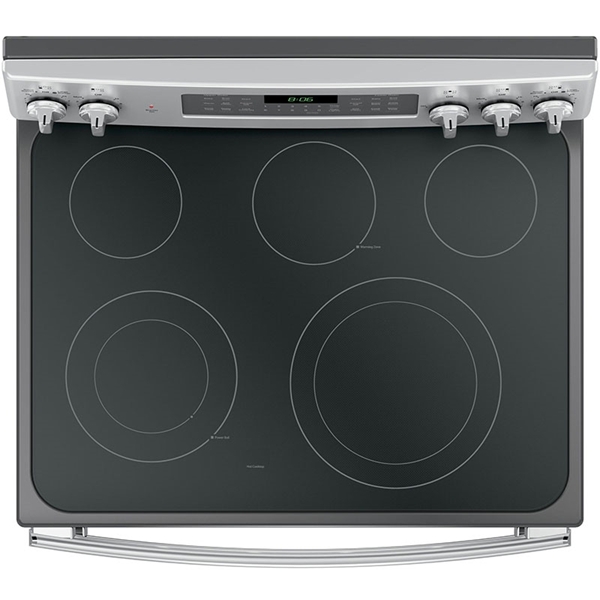 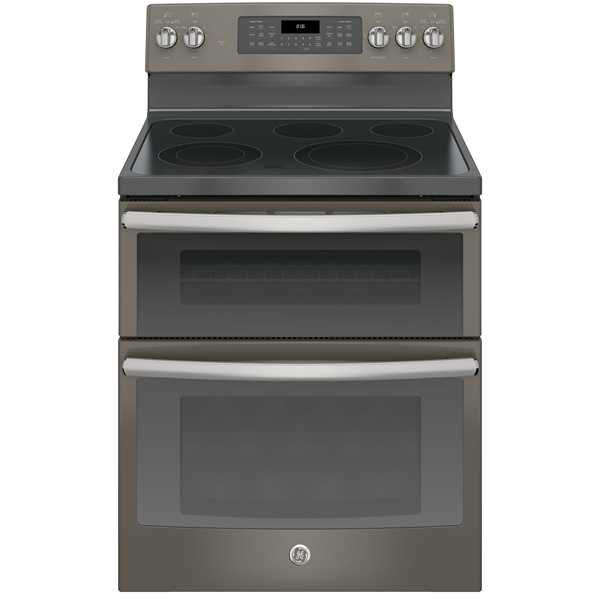 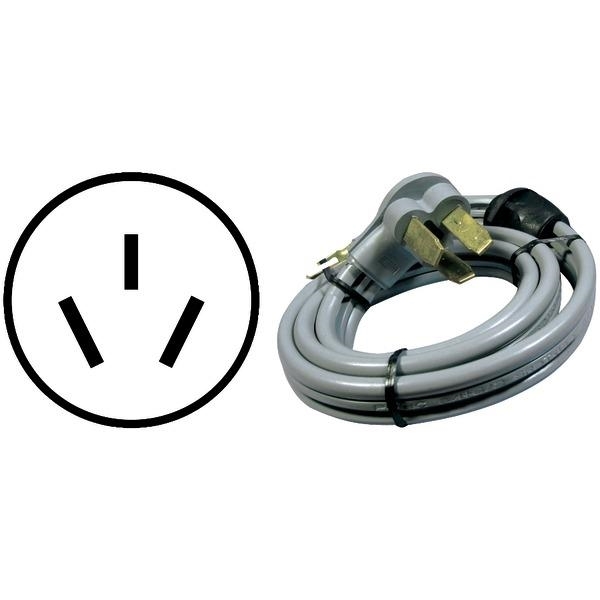 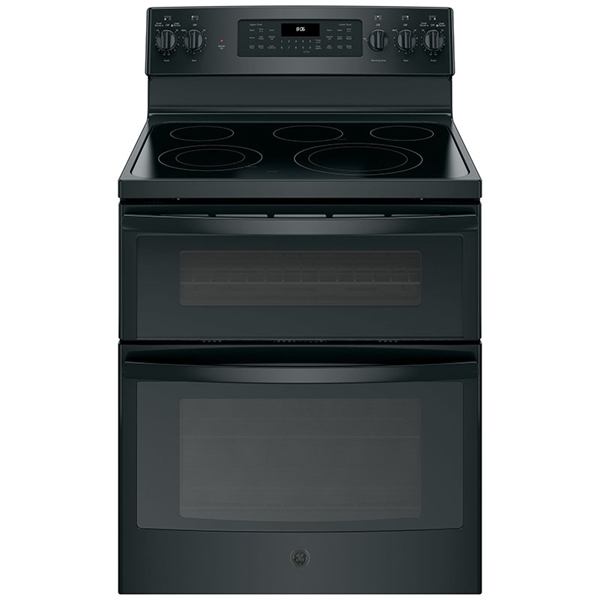 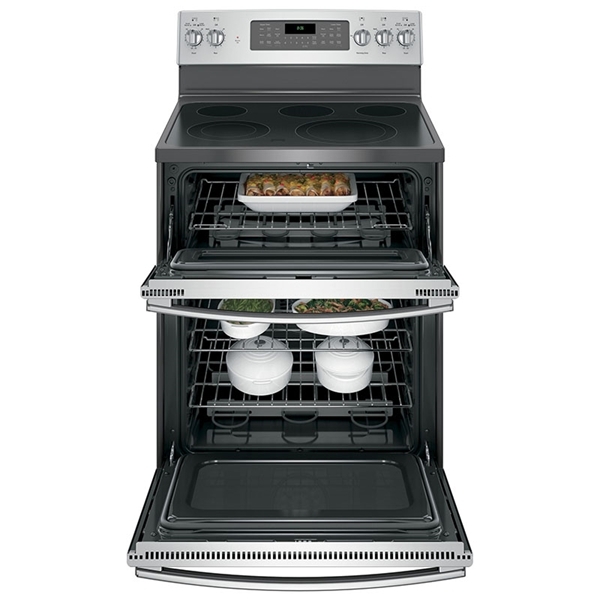 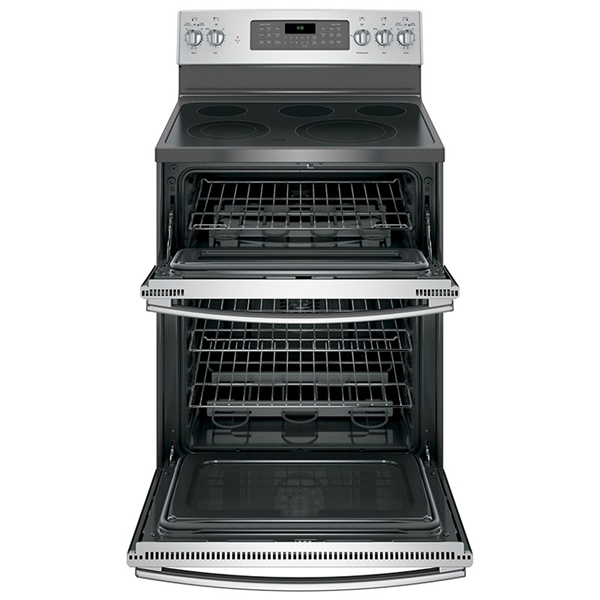 This GE electric double oven convection range has a 9"/6" power boil element that produces rapid, powerful heat. 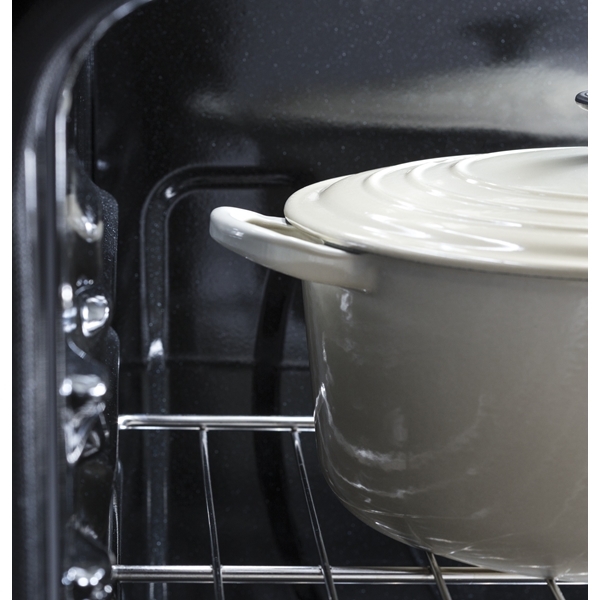 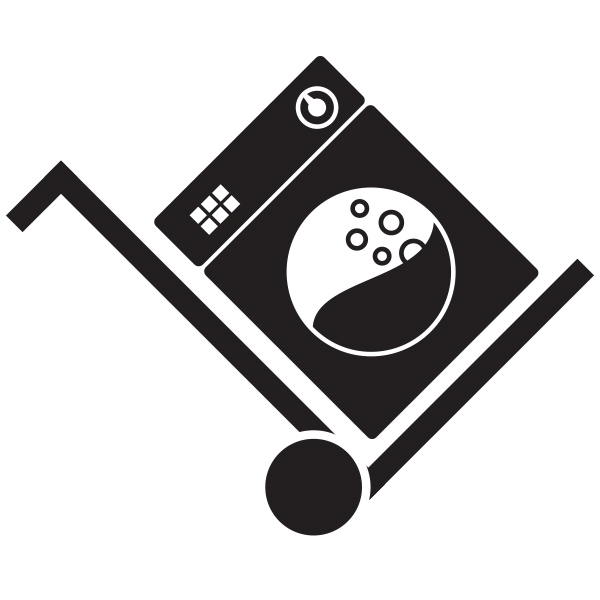 The convection feature allows you to enjoy baking without turning the pan. 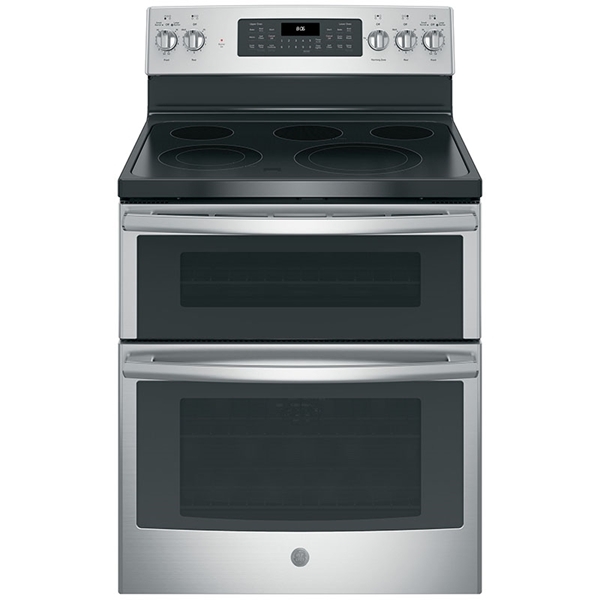 And with 6.6 cu.ft. 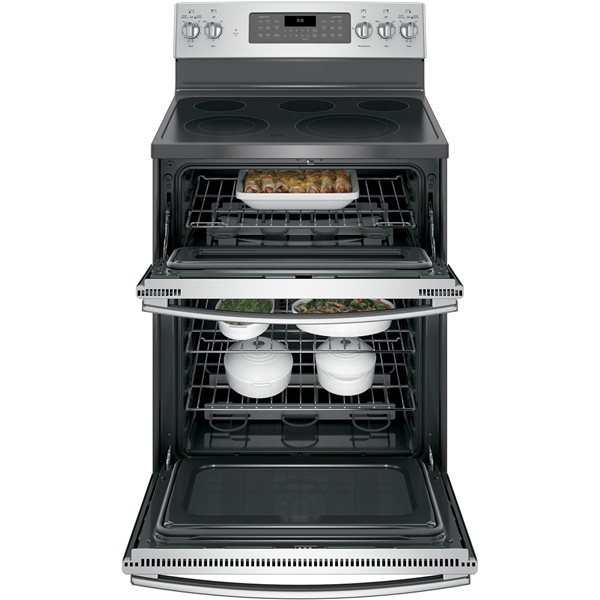 of total oven capacity, it is ideal for cooking big meals.